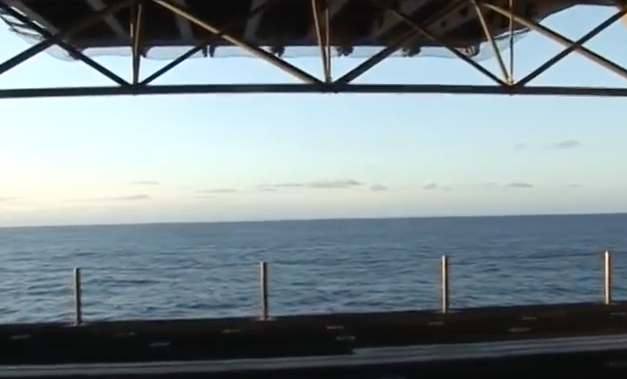 The living quarters onboard the Marine expeditionary unit (MEU) are tight, to say the least. Marines often live on beds stacked one on top of the other, and the small spaces they get to spend their free time are cramped, offering little to no privacy from each other. Of course, this is just another day in the life of any forward deployed United States Marine, and those on the 31st MEU aboard the U.S.S. Essex are no different. 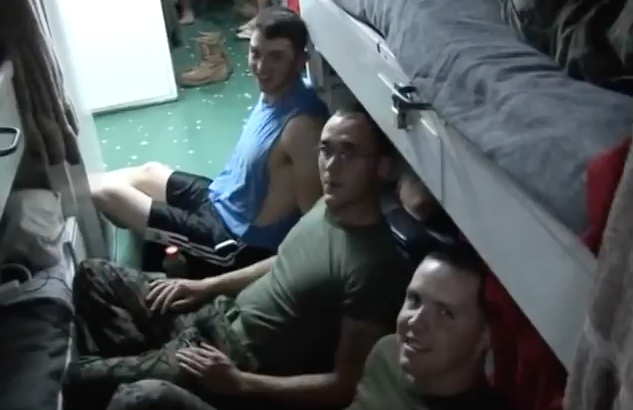 Marines deployed on the MEU have very little room for activities while on a ship, with certain common area being the only space to really spread their legs a little and relax. Beds and storage areas are quite small and offer little space beyond what is needed to fit their gear, uniforms, and seabags. Despite all of that, Marines and sailors still find ways to kick back and enjoy themselves while underway, and make the best out of the situation. In this video, Marines can be seen in confined spaces playing video games and keeping themselves busy on laptops. Often times, with so many personnel on board ship, day to day activities like training or holding formations may be somewhat difficult, but in no time at all, the Marines will be at the next port to continue whatever training evolution comes along next. “USS Essex (LHD 2) is the second ship to be commissioned in the WASP-class of multipurpose amphibious assault ships. The principle mission of Essex is to conduct prompt, sustained operations at sea, primarily as the centerpiece and flagship of the Amphibious Ready Group. LHDs provide the means to transport, deploy, command and support all elements of a Marine landing force of over 2,000 troops during an assault by air and amphibious craft. Designed to be versatile, Essex has the option of simultaneously using helicopters, Harrier jets, and Landing Craft Air Cushioned (LCAC), as well as conventional landing craft and assault vehicles in various combinations. LHDs missions, while operating with an aircraft carrier battle group. The ship’s extensive medical facilities consist of six medical operating rooms, four dental operating rooms, medical laboratories and hospital facilities capable of caring for 600 patients.